Prof. Liang Guo is a Professor of Marketing at The Chinese University of Hong Kong (CUHK) Business School. He received a PhD in Business Administration from University of California at Berkeley, and a BA in Economics from Beijing University. His research interests include economics of psychology, marketing strategy, industrial organisation, and applied economics. His research work has been accepted for publication at the Journal of Economics and Management Strategy, Journal of Marketing Research, Management Science, Marketing Science, and Productions and Operations Management. He is on the editorial board of Marketing Science, and serves as the Associate Editor for Quantitative Marketing and Economics and Management Science. He was named the “MSI Young Scholar” in 2009, and the “Cheung Kong Chair Professor” in 2015. L. Guo and X. Wu (Forthcoming), “Capacity Sharing between Competitors,” Management Science. L. Guo (2016), “Contextual Deliberation and Preference Construction,” Management Science, 62(10), 2977-2993. L. Guo and Y. Wu (2016), “Consumer Deliberation and Quality Signaling,” Quantitative Marketing and Economics, 14(3), 233-269. L. Guo (2015) “Inequity Aversion and Fair Selling,” Journal of Marketing Research, 52(1), 77-89. L. Guo, T. Li, and H. Zhang (2014) “Strategic Information Sharing in Competing Channels,” Production and Operations Management, 23(10), 1719-1731. L. Guo and X. Meng (2015) “Digital Content Provision and Optimal Copyright Protection,” Management Science, 61(5), 1183-1196. L. Guo and G. Iyer (2013), “Multilateral Bargaining and Downstream Competition,” Marketing Science, 32(3), 411-430. L. Guo and J. Zhang (2012), “Consumer Deliberation and Product Line Design,” Marketing Science, 31(6), 995-1007. 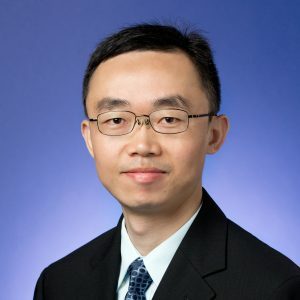 L. Guo (2010), “Capturing Consumption Flexibility in Assortment Choice from Scanner Panel Data,” Management Science, 56(10), 1815-1832. L. Guo and G. Iyer (2010), “Information Acquisition and Sharing in a Vertical Relationship,” Marketing Science, 29(3), 483-506. L. Guo (2009), “Service Cancellation and Competitive Refund Policy,” Marketing Science, 28(5), 901-917. L. Guo (2009), “Quality Disclosure Formats in a Distribution Channel,” Management Science, 55(9), 1513-1526. L. Guo and Y. Zhao (2009), “Voluntary Quality Disclosure and Market Interaction,” Marketing Science, 28(3), 488-501. L. Guo (2009), “The Benefits of Downstream Information Acquisition,” Marketing Science, 28(3), 457-471. L. Guo and J. M. Villas-Boas (2007), “Consumer Stockpiling and Price Competition in Differentiated Markets,” Journal of Economics and Management Strategy, 16(4), 827-858. L. Guo (2006), “Removing the Boundary between Structural and Reduced-Form Models,” Marketing Science, 25(6), 629-632. L. Guo (2006), “Consumption Flexibility, Product Configuration, and Market Competition,” Marketing Science, 25(2), 116-130.